You don’t have to replace your old stuff. Just give it a new skin! 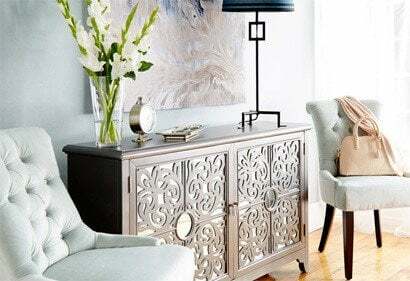 Not only can painting your furniture give it new life – especially if you have a well-worn dresser or a piece that was handed down to you sitting in the garage – but it can also freshen up your décor. With the right color and a deft DIY hand, you might be surprised how good a made-over piece can look, and how it can liven up a tired room. For the best results, you’ll need to prepare your surface well by sanding and removing any dirt or other residue, patching any areas where there are nicks or wood missing, priming, and making sure you’re using the right products for your piece. You can get some good tips for painting furniture on DIY Network. Ready to get started? Here are 6 color options to consider. 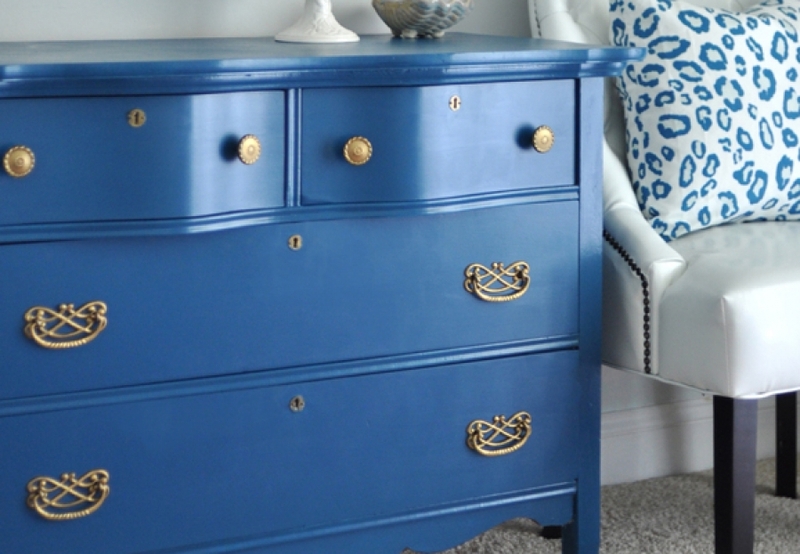 Not dreamy like sky blue, not trendy like navy, royal blue gives you the punch you need to bring new life to an old piece, and to your space. 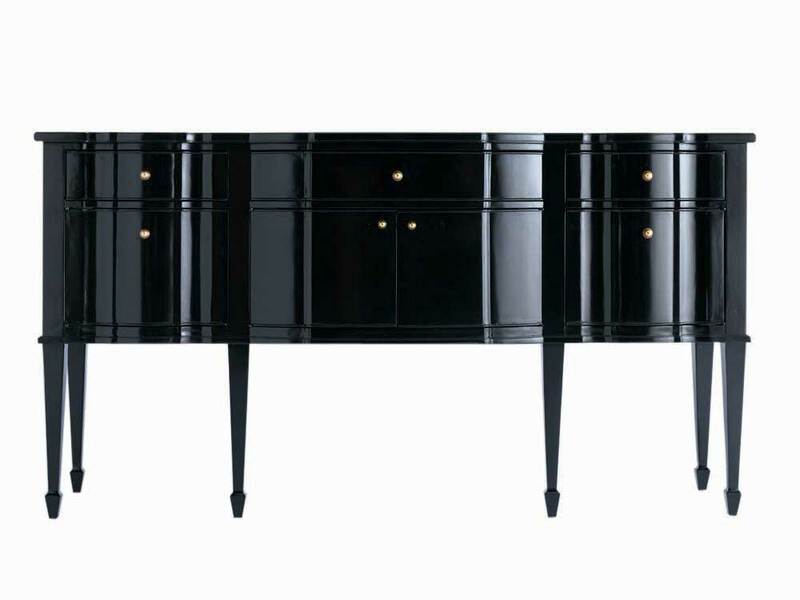 Look how great it looks on this old chest, especially with the contrast of the brass hardware. Yellow brings the same kind of pop as royal blue but keeps it in the warm family, which may work better in certain decor schemes. Yellow has also been shown to improve your mood. The color is “Associated with joy, happiness, intellect, and energy,” said Color Psychology. It “produces a warming effect, arouses cheerfulness, stimulates mental activity, and generates muscle energy. Bright, pure yellow is an attention getter, which is the reason taxicabs are painted this color.” But, “when overused, yellow may have a disturbing effect” – which is what makes it perfect for one standout piece. Metallic paints are better than ever and can turn and an eyesore into a showstopper. The best we’ve ever used? Modern Masters Warm Silver, which transforms old, ugly, or ordinary pieces into something stunning. Nothing brings the drama like the darkest of hues. If you have a piece that’s in need of freshening up, black can do the trick without extending your color scheme or requiring you to go too far out of your comfort zone. hgtv.comWhile sophisticated chevrons create a piece that can’t wait to show off in your living or dining room. You can get a sleek look by painting white in a lacquer finish, or you can get the French country finish Joanna Gaines (and her legion of fans) is so fond of by distressing the piece. There are a number of different techniques, but this one using chalk paint, wax, and a couple of secondary colors to add depth and patina provides an authentic look. 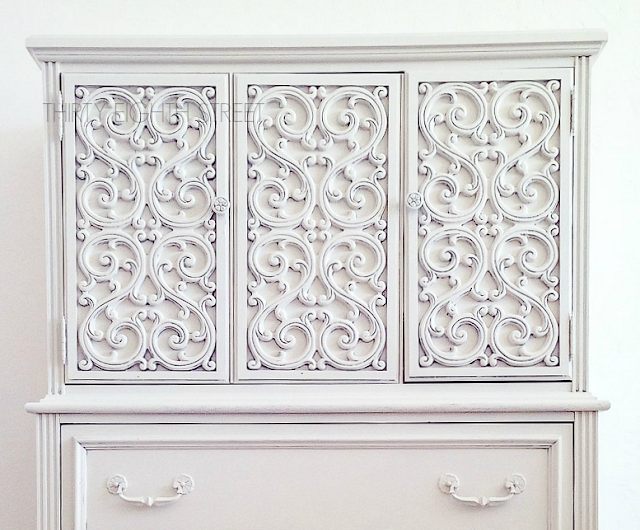 You can get some more inspiration for white-painted furniture on Pinterest.